Jim King and Asbjørn Hordvik. 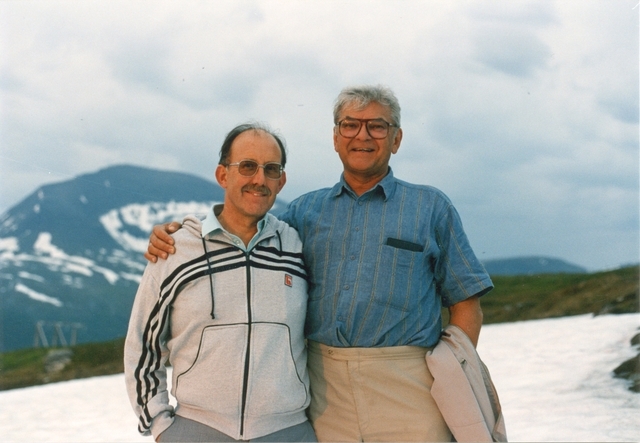 Tromsø, Norway, July 1988, in an informal visit preceding the formal Executive Committee meeting of that year. 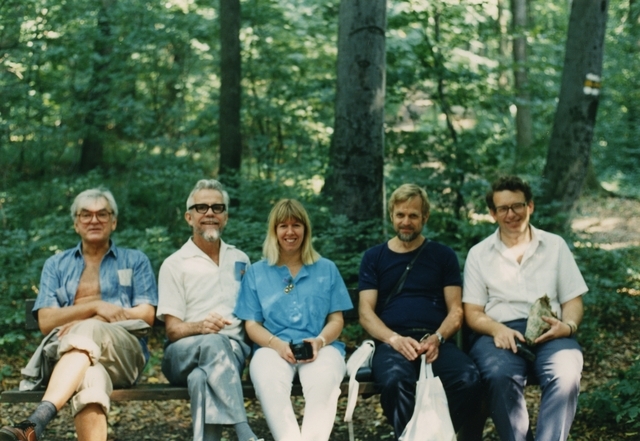 Asbjørn Hordvik, Ted Maslen, Anne Cawley, Kaarle Kurki-Suonio and Mike Dacombe. Taken in the Vienna woods.